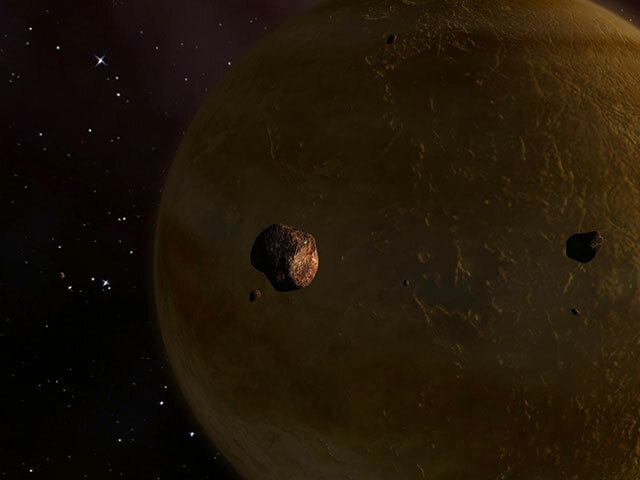 ﻿ Venus 3D Space Survey Screensaver – Visit Earth’s neighbour! Venus is the only planet of the Solar system with the dimensions that are almost equal to the Earth's ones. Likewise the Earth, the Venus possesses a quite dense atmosphere which mainly consists of carbon dioxide and nitrogen. A lot of scientists believe that there used to be oceans on this planet but due to the weak magnetic field, both, the water and oxygen were carried away into the space. Unlike the Moon, Mercury and Mars, craters are almost absent on the surface of the Venus which suggests that this celestial object is relatively young. According to the data received from a series of space probes that study the planet, its atmosphere is moving at an extremely high velocity and the number of lightnings twice exceeds that of the Earth. The Sun can never be seen from the surface of the Venus because of the dense layer of clouds. Moreover, the sunniness is very weak even when the shining start is in the zenith. The existence of life is impossible because of high temperatures near the surface. This happens due to the powerful greenhouse effect and the greater proximity to the Sun. The Earth is obviously much further. Similarly to the Moon, one side of the Venus is always turned towards the Earth. 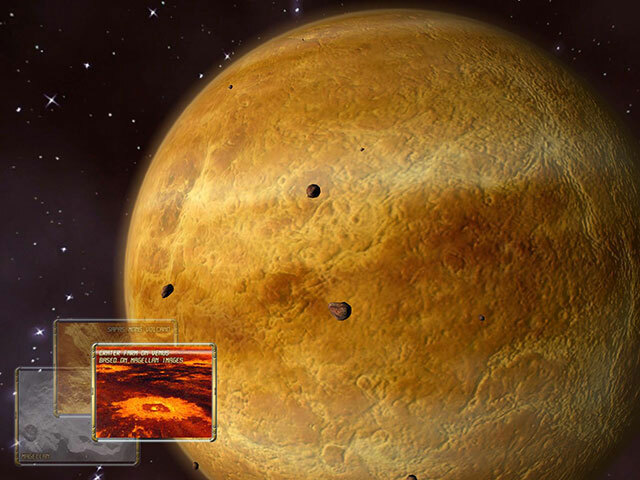 This planet is the brightest on the night sky (excluding, of course, the Sun and the Moon). Likewise the Mercury, it can only be seen after the sunset and during the dawn before the Sun rises. The Venus 3D screensaver provides you with the possibility to enjoy the unconventional performance - the sight of the Venus from the space. It feels like you are watching the planet from some kind of a spacecraft which is found on a high orbit. It is unbelievable beauty of the sky full of starts, especially when the Sun is rising above the disk of the Venus! 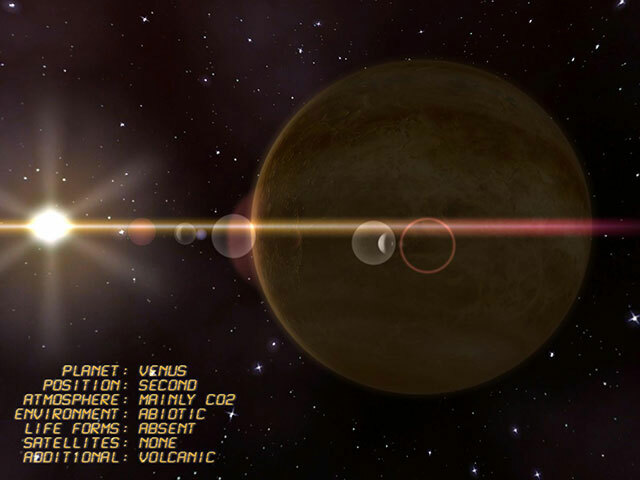 Venus 3D displays not only the current time, but also some basic information about the second planet from the Sun: its radius, gravity constant, the density of the atmosphere, etc. Nevertheless, the informational function successfully competes in this Windows 3D screensaver with the esthetical one.